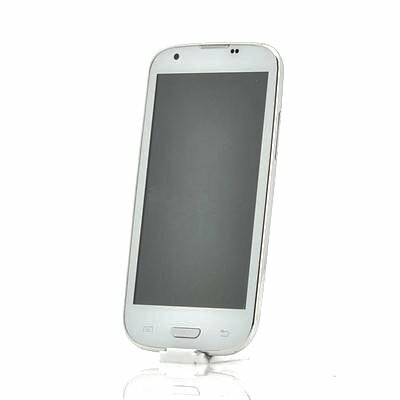 Successfully Added Budget Quad Core Android Phone "Neutron" - Android 4.2, 4.7 Inch Screen, 2GB RAM (White) to your Shopping Cart. 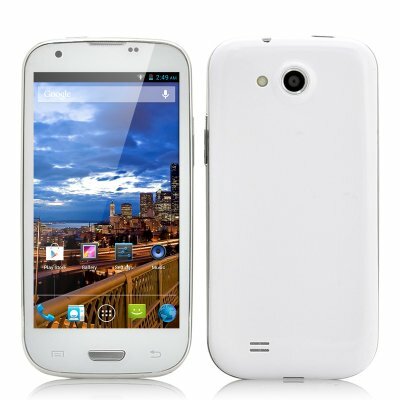 Budget Quad Core Android Phone running on Android 4.2 and equipped with a 4.7 Inch Screen, 2GB RAM, and more. Are you looking for a Quad Core phone but are you not willing to pay the price tag that comes with it? Chinavasion has the solution! The “Neutron” is a 4.7 inch budget Quad Core phone which comes with all the benefits of Quad Core processing power without the heavy price. This way, you will be able to experience ultra fast multitasking, short loading times and unseen graphical power on this 4.7 inch phone and stay connected wherever you go. Not only acclaimed because of its low price and fast processor, the “Neutron” also impresses with its choice of OS. Running on Android 4.2, this budget phone packs a world class operating system under the hood which comes with a multitude of enhancements such as an optimized battery life, lock screen widgets and thousands of downloadable apps. To help you make your life easier, a GPS is built-in which will navigate you to your destination in no time, Bluetooth can be used to pair with other devices and both a front and rear camera let you shoot crisp videos and pictures. Now in stock, the “Neutron” can be shipped out within one working day and comes with a 12 months warranty. Brought to you by the leader in wholesale Android phones, Chinavasion. Excellent product, Got this for my partner, and it is impressive even when compared with my own Samsung S4. Snappy and responsive, well built and well packaged. Had a little trouble with DHL courier, claimed no one was home at time of delivery, but my partner was home all day- they never knocked or beeped, never even left a note. It is working fabulous! Great!It is something to have and use! I had a S3 which I lost unfortunately, but this one is good too! May be the camera a little less...but it depends on what is important for you.